IS CONSTANT VICTORY REALLY POSSIBLE FOR EVERY BELIEVER? This is a vitally important question for you and me, my brother or sister in Christ. Should a Christian expect and experience constant triumph, every day and all day, over sin and self? Is the “victorious life” really practical, or is it just an attractive subject for conference gatherings and an interesting topic for discussion? Is it merely a pet theme for extremists and fanatics, or is there actually a sane, Biblical experience of practical triumph within the reach of every believer, irrespective of temperament, circumstances, environment, or changing times and conditions? Is it some great ideal to which we must ever seek to aspire in the vague hope that, after years of experience or service, we may perhaps approximate to such a standard? Does the Word really promise a life of true spiritual achievement, conquest and supremacy to the simplest and weakest believer, or has God reserved such a priceless blessing as this for only a few of his favorites? Many Christians are asking these questions today. We are faced with the never-ending antagonism of a threefold enemy – the allurements of the world, the insidious outworkings of the flesh, and the subtle devices of the devil – all combining in a terrible assault against the testimony of real Life. The whole matter constitutes an acute problem as to Christian ethics and the real practicability of certain doctrines and theories. Now let us consider this question simply and honestly, with minds and hearts open to the revelation of the Spirit of God. Firstly, what is the victorious life? In answering this question, it will be helpful to consider what it is not. It is not a creed, or dogma, or dictum, or merely a particular line of Bible teaching, or a system of rules and regulations, or a code of ethics, or even spiritual principles. The victorious Christian life is A PERSON (Jn. 14:6). And that Person is the Lord Jesus Christ himself. HE is the believer’s life (Jn. 11:25). Apart from him there is no life for you and me in the spiritual realm. Real life finds its birth in the reception of him as Savior. Entrance into the family of God must be by the regenerating operation of the Holy Spirit (Titus 3:5). Spiritual life is not an abstract principle, or mere objective doctrine. It is Christ. His advent into the heart that opens to him is the “Alpha” of a spiritual career, for “if anyone does not have the Spirit of Christ, he is not his” (Ro. 8:9). Allow the Holy Spirit to write this upon your mind and spirit with an indelible pen. It is a simple fact which calls for a new emphasis today, because there are many who are trying to live the Christian life before they have received the Christian life to live (Ro. 10:3). Every believer, every true Christian, every Child of God, possesses Life because such a one has received Christ (Col. 2:6), and for no other reason. Separation from him means spiritual death (Eph. 2:1). Real Life is more than joining a church, or passing through a religious ceremony. It is not imagination or imitation, or reformation, or confirmation, or education. It is REGENERATION, the production of “a new creation” in Christ Jesus (2 Co. 5:17). What happens, then, when one is “born again” (Jn. 3:3)? Nothing short of this: Christ HIMSELF enters (Rev. 3:20) to dwell in the heart by faith through the Holy Spirit (Eph. 3:17). The human spirit is made alive with the very life of God. This is imperative – the first great transaction between the soul and God. Nothing less than this can lift the soul into the only realm where victory becomes a possibility. Now consider therefore: How much of Christ did you receive at your regeneration? When He says, “I will come in”, is there any statement or inference that He will only partially enter? Of course not! Such a suggestion is illogical and foolish. “Is Christ divided?” (1 Co. 1:13). What sort of a Savior entered your heart, then, when you turned the handle of faith and admitted him? The Savior of the Bible, and no other. There is only one Lord Jesus Christ, and He says, “All authority has been given to me” (Mt. 28:18). Think of it. All power is vested in the Christ of God – the Christ who lives within you. “In him dwells all the fullness of the Godhead bodily” (Col. 2:9). Yes, amazing as it may appear to be, this mighty triumphant Christ, the omnipotent Son of God, actually abides in the heart of the believer by the Holy Spirit. Seek to grasp the implications of this glorious fact. Fix your gaze upon the PERSON of Christ. The victorious Christian life, therefore, is not a great, exalted ideal to which the believer is ever struggling to aspire. Christ himself is your life, and since his life is a victorious life, you received all the potentialities of complete victory the very moment you received HIM. Here, therefore, we come to our first logical conclusion. Unceasing victory is possible for every believe, because that blessed One who himself is unceasingly victorious, has entered the redeemed spirit, and that to stay. For this reason we find that the life of fullness in God is promised on the simplest conditions. “Then Moses and the children of Israel sang this song to the Lord, and spoke, saying: ‘I will sing to the Lord, for He has triumphed gloriously! The horse and its rider He has thrown into the sea!’” (Ex. 15:1). “And the Lord will make you the head, and not the tail; you shall be above only, and not be beneath; if you heed the commandments of the Lord your God, which I command you today, and are careful to observe them” (Dt. 28:13). “No man shall be able to stand before you all the days of your life; as I was with Moses, so I will be with you; I will not leave you, nor forsake you” (Josh. 1:5). “Yours, O Lord, is the greatness, the power and the glory, the victory and the majesty; for all that is in heaven and in earth is yours; yours is the kingdom, O Lord, and You are exalted as head over all” (1 Chr. 29:11). “And she will bring forth a Son, and you shall call his name Jesus: for He will save his people from their sins” (Mt. 1:21). “For sin shall not have dominion over you, for you are not under law but under grace” (Ro. 6:14). “For the law of the Spirit of life in Christ Jesus has made me free from the law of sin and death” (Ro. 8:2). “But thanks be to God, who gives us the victory through our Lord Jesus Christ” (1 Co. 15:57). “Now thanks be to God who always leads us in triumph in Christ, and through us diffuses the fragrance of his knowledge in every place” (2 Co. 2:14). “For whatever is born of God overcomes the world. And this is the victory that has overcome the world – our faith” (1 Jn. 5:4). “These will make war with the Lamb, and the Lamb will overcome them, for He is Lord of lords and King of kings; and those who are with him are called, chosen and faithful” (Rev. 17:14 – emphasis added). Do these Scriptures suffice to establish the fact that nothing short of steady, permanent conquest in Christ is God’s norm for every believer? The defeated Christian is a monstrosity from the divine viewpoint. He is abnormal. He is a paralyzed member of Christ’s Body (1 Co. 2:14). The defeated child of God fails to function effectively in the divine program and purpose. Backsliding and carnality are not only inexcusable, but incompatible with normal Christian experience. They produce a regime of contradiction. Since a living Christ dwells within, there is never any reason for defeat. No enemy is too powerful for the Almighty (Ps. 91:1). Every temptation may be resisted (1 Co. 10:13). Every emergency may be triumphantly anticipated. If a believer is overcome by the enemy, the simple explanation is that the Savior has been denied his rightful position of supremacy in the heart. His dethronement must ever lead to failure in the conflict, and an arrest of spiritual life. Since practical victory can never be divorced from his indwelling presence, therefore, it follows that the life of triumph is hopeless apart from him (Jn. 15:5). Again, let me repeat — He is your Victorious Life. Now let us consider these great enemies which present their triple challenge and protest to the life of victory. They are threefold: the world (1 Jn. 2:16), the flesh (Ro. 8:3), and the devil (1 P. 5:8). 1) The World. What is “the world” in this sense? It means “this present evil age (or world)” (Gal. 1:4) — the great system of evil round about us. It is animated by “the ruler of this world” (Jn. 14:30) and characterized by a tragic decree concerning the Man of Calvary — “We will not have this man to reign over us” (Lk. 19:14). It is the world system of rebellion against God. Now, is it possible for the believer to live a truly separated Christian life in the midst of such antagonism? For example, is Christ’s victory such that there is a complete loss of appetite for worldly pleasures and pursuits, with all their alluring attractions and fascinating enticements today? Is it really possible for a present-day Christian to rejoice with the apostle Paul that he has been “crucified to the world” and the world unto him, even though he dwells in the midst of it (Gal. 6:14)? Or is it in the will of God that, having been saved from this present evil world, he should once again be captivated by its “beggarly elements” (Gal. 4:9)? Temper – a failure to control the human spirit, when aroused. Irritability - the tendency to manifest impatience on little provocation. Moodiness – a capricious disposition and a yielding to temperamental weaknesses. Jealousy – the spirit of fear and revenge at the prospect of being displaced by a rival. Pride – the spirit of self-exaltation and glory. Selfishness – the “ME first” spirit, and the tendency to ‘minister’ to self. Unforgiveness – the refusal to forgive. Anxiety and fret – the tendency to worry when difficulties and dangers threaten. Complaining – a grumbling, unsatisfied spirit. Criticism – the inclination to backbite, gossip, and feast on the weaknesses of others, due to an uncontrolled tongue. Need we enlarge such a repulsive catalog? These are not regarded as gross sins, but they are, nevertheless, outworkings of carnality. Is there victory over “the flesh”? Yes, thank God, this is promised unequivocally in the Word of God. As we shall see later, there is a great secret revealed to us in God’s Book whereby “the flesh” may be kept inoperative through the power of the Holy Spirit, by way of the Cross. 3) The Devil. We have thought of the world (that external enemy), and of the flesh (that internal enemy); now we must think of the third great foe – the devil, that infernal enemy! The devil is a person, the actual “prince of the power of the air” (Eph. 2:2). He controls the affairs of “this evil world”, and his great objective is to thwart the divine will and program in the world, in the Church, and in the believer. To this end he presents his challenge along many avenues, and seeks to usurp and dominate the property which, by creative and redemptive claim, rightly belongs to Christ. As a believer, you cannot evade his subtle devices (2 Co. 2:11). He is your unceasing antagonist (1 P. 5:8). He must be met and overcome. Is this possible? Yes, thank God, through the Savior’s victory on the Cross this mighty enemy has been fully and finally vanquished (Hb. 2:14) and one day the whole world shall see the full consummation of this. Meantime, the Evil One is busy in the world, but all his activities are within the permissive will of God. The child of God may have victory in Christ day by day, since the Victorious Christ is an indwelling reality. “Satan to Jesus must bow.” But of this, more later. Now, my reader, are you convinced that the Word promises full victory to every believer? 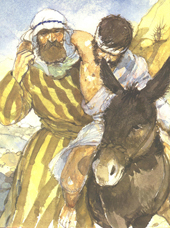 Having known the healing touch of the Good Samaritan upon your sin-wounds, that wonderful Benefactor will never leave you to your own resources for the remainder of the journey. Having been delivered from the horrible pit of sin, it never is God’s will that you should periodically wander back into its dark domain and stodgy atmosphere. The Savior is more than a guarantor of safety from Hell and sin’s penalty. He is sufficiently strong to keep you from sin’s dominion, day by day (Hb. 7:25). Yes, complete victory is possible all the time, or there must be a defect in the atoning work of Calvary. Since it is proved by abundant Scriptural evidence, as well as in the practical experience of saints of God down through the ages, it remains true to this day. Has Christ changed? Is He not yours? Then such a life is possible for you! Before closing this chapter, it should be emphasized that the experiential life of Victory deals exclusively with the believer’s state day by day, as distinct from his eternal standing in Christ. Every true believer is “in Christ” forever; that is, as to his standing (Phil. 1:1). To “abide” in Christ day by day, however, is a practical matter which concerns his daily walk and conduct (Jn. 15:4). Every believer is indwelled and “sealed with the Holy Spirit of promise”, otherwise he is not a believer (Eph. 1:13). As to his state, however, he is exhorted to “be filled with the Spirit” (Eph. 5:18). Every Christian, in his spiritual standing, possesses life. If his state is to correspond with his standing, however, he must learn the secret of life more abundant (Jn. 10:10). Do you see the difference? Your standing in Christ is perfect and complete forever (Hb. 10:14), because the perfect One is the accepted One before God, and you are accepted in Him (Eph. 1:6). The Holy Spirit’s function, however, is to make the blessings of our standing in Christ experientially real day by day, so that others may see Christ in us (1 P. 2:9), and that we may be enabled to possess our possessions in Him. Do not allow the devil to confuse your mind over this important, yet simple, distinction. Your standing is what you are IN CHRIST positionally; your state is what you are in practical daily life and conduct. Remember again that the triumphant life is just CHRIST HIMSELF. He is its “Alpha” and “Omega”, the solution of every problem, the answer to every challenge (Rev. 1:8; 18). Since He dwells within you, triumphant Christian life is your spiritual birthright and glorious inheritance. Now, we must consider another important matter which logically arises at this point. How would you paraphrase “the question”? What is the victorious life not? The victorious Christian life is a ___________________; namely ____________________. Can a true Christian not have the Spirit of Christ within? What happens when the believer is born again? How much of Christ does the believer receive at salvation? Why is this significant? Why is unceasing victory possible for every believer? Which of the verses listed would be your first choice in pointing someone to Abundant Life? What is God’s norm for the Christian life? Why is the common believer’s experience abnormal? What are the disciples’ three great enemies? Give a definition of each. Is the victorious life burdensome? Which spiritual enemy is internal? Review two Biblical references that identify the devil as a spiritual enemy. What is the difference between “standing” and “state”?